Not sponsored by John Lewis! The 2 hour slot is free (there are various other options available – but I thought this would suit me best) and I arrived quite nervous but excited! There is basically a room off the lingerie section (in the Solihull store) with some comfy chairs, and then individual changing rooms in there too. The lovely personal stylist lady chatted to me about what I was shopping for – and about my size – and then she headed off to the shopfloor. I sat chatting to two other ladies who were going through the same process. It seems there is a massive cross section of people who go in for this – and as a just 40 something – I was pretty much mid age range. The stylist came back with armfuls of clothes and I started the trying on. For this I was in my own changing room – so wasn’t having to strip in front of other people (something I had been a bit nervous about beforehand). And the outfits were FABULOUS! 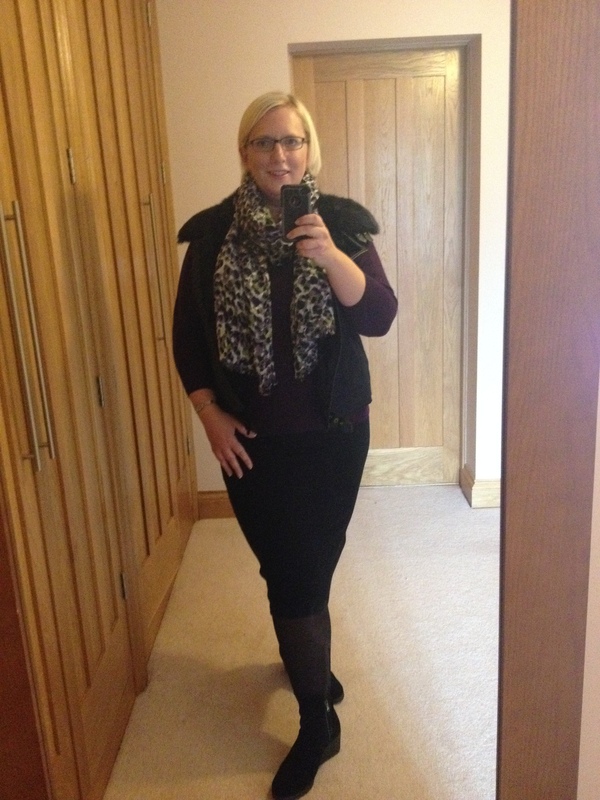 It made me try things I would never have chosen myself – and from an eclectic mix of brands – Phase Eight trousers / Oasis top / Mint Velvet jacket – with John Lewis own brand scarf and necklace – perfect! I tried on lots – and I have to say after 2 hours was exhausted of getting into and out of things – but I was delighted with the results. 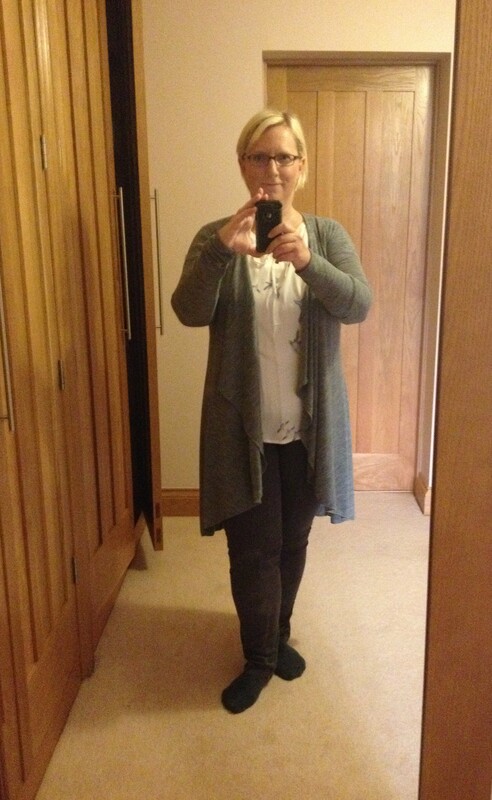 I managed to spend A LOT (although dwarfed by what my husband spent in Clements and Church the next day!!) and here are a couple of the outfits. I would really like to go back in the future – either for a new season’s wardrobe – or when I’ve FINALLY managed to shift some weight!! This is definitely not a sponsored post – but I would be more than open to offers!! Hey – a free hot drink and cake with my ‘My John Lewis’ card and I’m happy! !